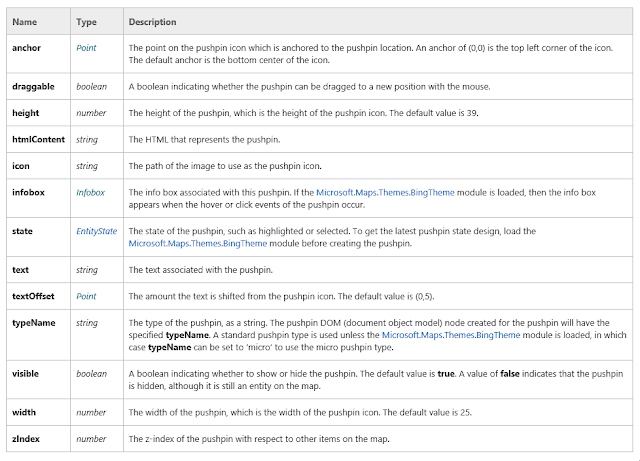 If I just try to add a property when initializing the Pushpin, Bing Maps will not take notice of that property due to the setOptions function on the Pushpin object. I don't really want to override the setOptions function - since I don't know the domino effect. So there are still two ways to solve the problem. Alternative two is more complex, but more useful if we need to control the data. Microsoft - feel free to add a Tag property to each geometry type giving the opportunity storing values in.